This entry was posted in Nature Destinations and tagged Ottawa Bluffs on October 22, 2014 by John Valo. 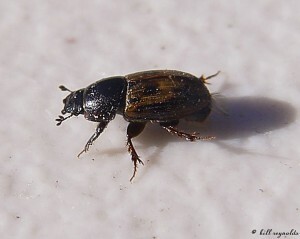 Maculated dung beetle (Aphodius distinctus) is a small aphodine dung beetle native to Europe, Asia, and Northern Africa. It was introduced into and is now common and widespread in North America. Adults are seen on cattle dung, often in large numbers, from March to May and again from August to October. Some evidence suggests that the larvae may be an agricultural pest, eating the roots of crop plants, but further study is needed to confirm this. This species is identified by the elongated body; three projections at the tip of the antennae that can be tightly closed; variable yellow markings on the forewings; and keel-shaped ridges on the middle and hind legs. This entry was posted in Insects and tagged Aphodius distinctus, maculated dung beetle on October 21, 2014 by John Valo. 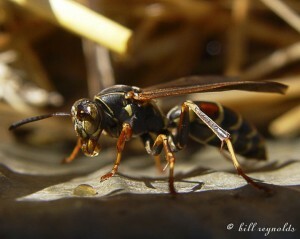 Northern paper wasp (Polistes fuscatus) is a common and widespread, medium-sized, predatory, social wasp. It is found in woodlands and savannas and around wood structures built by humans. Adults feed exclusively on plant nectar produced by flowers and glands (nectaries). Larva are fed caterpillars and other insects captured and softened by workers. The liquids of the softened (malaxated) insects are fed to the youngest larvae, the solids to the older larvae. The uncovered nests are often built by two or more queens. In these nests one queen is always dominant. She will eat the eggs laid by the other queen(s). After the nest is built the non-dominant queens may be driven off or become workers. This species is identified by extremely short hairs of the head and abdomen; by the antennae that are orangish-yellow below, black above; and by the first abdominal segment that is wider than long, not stalk-like, and is gently rounded in profile. This entry was posted in Insects and tagged northern paper wasp, Polistes fuscatus on October 19, 2014 by John Valo. 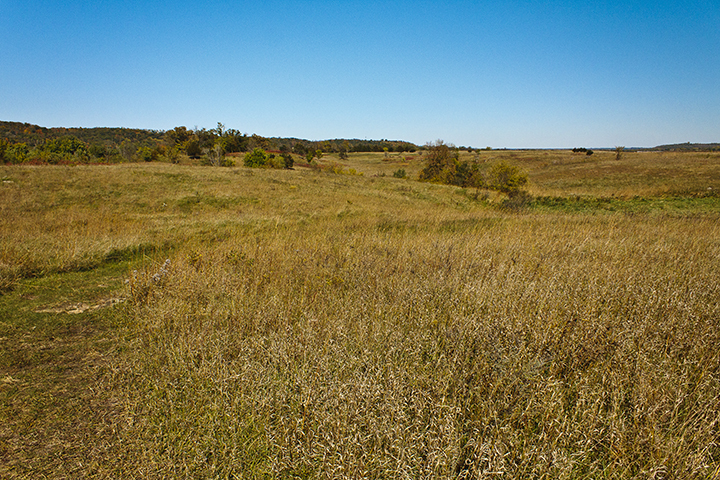 Kasota Prairie, a 90-acre remnant of native prairie, is a private preserve but is open to the public. 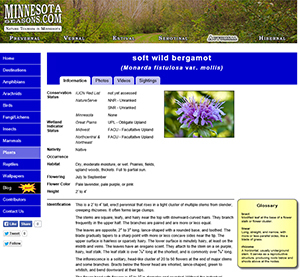 It is owned by Unimin Minnesota Corporation and managed with the cooperation of Save the Kasota Prairie, a nonprofit organization. The west boundary of the site is the Minnesota River bluff. 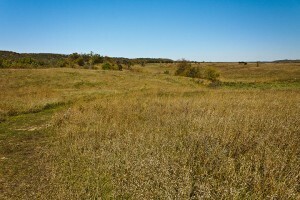 North of the site is a 60-acre Unimin-owned prairie that is off limits to visitors. 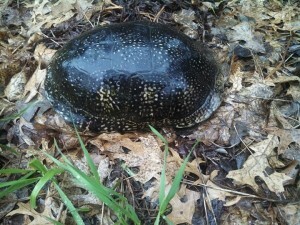 There are two miles of natural surface hiking trails. This entry was posted in Nature Destinations on October 17, 2014 by John Valo. 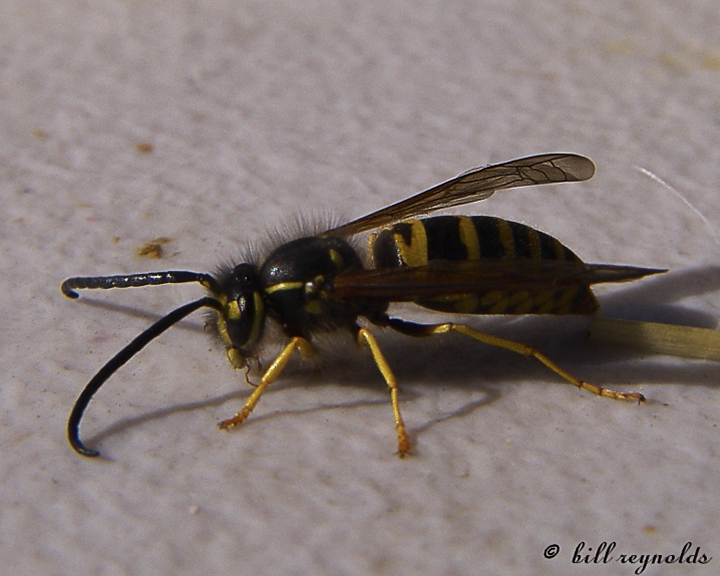 Eastern yellowjacket (Vespula maculifrons) is the most common yellowjacket in eastern North America. 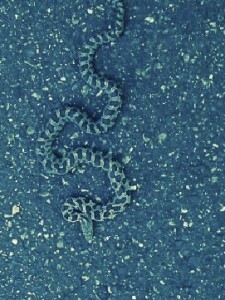 It often nests in urban and suburban environments. It aggressively defends its nest. It is able to sting multiple times but the barbed stinger sometimes becomes detached in the victim. This species of yellowjacket is identified by distinctive black and yellow markings on its head and body. The yellow band behind the compound eye is not notched, narrowed, or broken. There is no yellow “eye loop.” The thorax has no longitudinal stripes. The first abdominal segment has a broad, black, anchor-shaped mark. The workers do not have isolated black spots on the remaining abdominal segments. 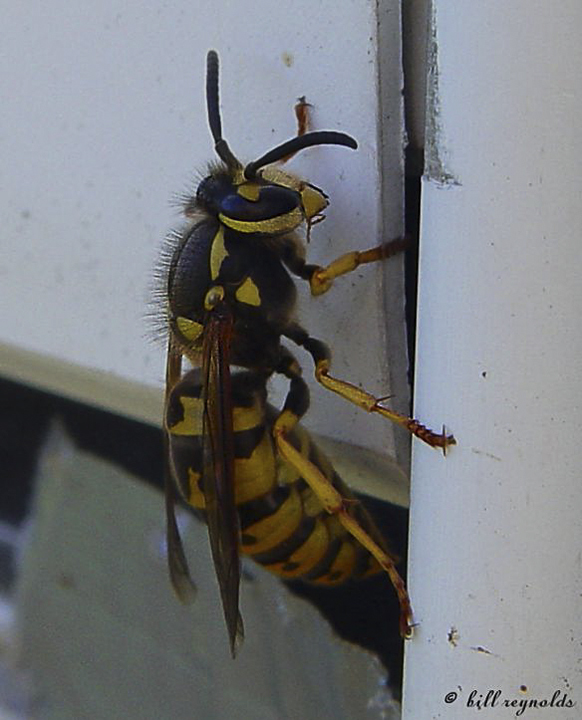 This entry was posted in Insects and tagged eastern yellowjacket, Vespula maculifrons on October 17, 2014 by John Valo. This 183-acre SNA lies within the Richard J. Dorer Memorial Hardwood State Forest. Despite its small size, it sits across two ECS subsections and three land type associations (LTAs). 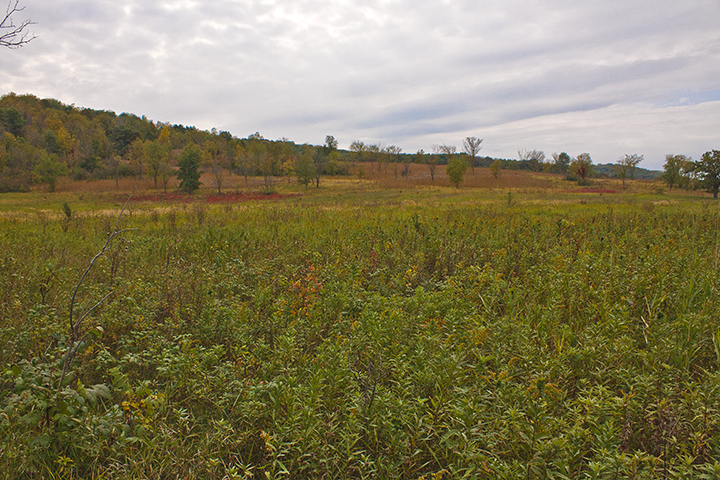 The north part of the site, adjacent to the Middle Branch Root River, is a 72-acre lowland with wet meadow on the Alluvial Plain LTA of The Blufflands subsection. This area also contains a sedge meadow native plant community, where there is always at least some standing water. South of the lowland a 108-acre slope climbs 250 feet in elevation on the Elba Slopes LTA of The Blufflands subsection. 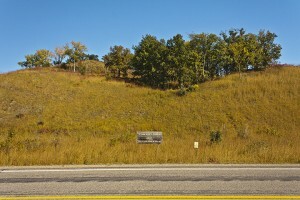 This slope is mostly wooded but includes a large area of dry prairie. In late summer much of this prairie is dominated by little bluestem. The wooded slope was once a brushland that, through decades of fire suppression, has developed into an oak woodland. 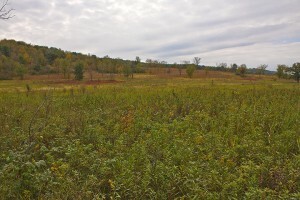 The southeast corner of the site is 3 acres of oak woodland on the Stewartville Plain LTA of the Rochester Plateau subsection. Wild Turkeys nest in the wet meadow and Northern Bald Eagles have been seen circling above the SNA. This entry was posted in Nature Destinations and tagged Pin Oak Prairie SNA on October 15, 2014 by John Valo. German yellowjacket (Vespula germanica), a common and widespread social wasp, is native to Europe, Asia, and North Africa. It was unintentionally introduced into Canada in the 1960s and the eastern United States in the 1970s. It quickly spread and by 1989 it had reached California. It is now found throughout North and South America. It usually nests in the ground but often nests in voids, such as tree stumps, attics, roofs, and hollow walls. It rarely builds a hanging nest like the bald-faced hornet. This species of yellowjacket is identified by distinctive black and yellow markings on its head and body and by three small black spots on its face. This entry was posted in Insects and tagged German yellowjacket, Paravespula germanica, Vespula germanica on October 6, 2014 by John Valo.